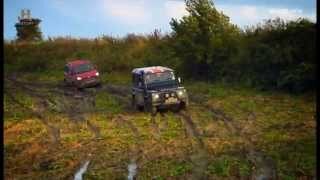 Panda 4*4 legacy spread its wings and treat the audience at the 2014 Geneva Motor Show with the release of Fiat Panda Cross 2015. The all new model carried higher attitude with its looks and loaded features that indeed has the ability to build a house inside your soul. Let us have a descriptive look at the entire model details. Interior of Fiat Panda Cross 2015 is covered with eco-leather upholstery while setting more in benchmarks is a new dashboard with copper fascia finishing. Steering wheel and gear knob comes covered with leather while certain features like automatic climate control, Blue&Me connectivity, City Brake Control comes as standard. Another standard feature with Fiat Panda Cross 2015 which to us sounded interesting is the height-adjustable driver’s seat that assures a better grip over steering and thus better ride control. 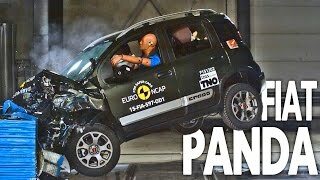 In all the interior of Fiat Panda Cross 2015 is filled with some exciting features that won’t just entertain you but assure you a safe and comfortable ride and is also attractive with its looks and comfort features. That makes it stand a lap ahead of cars in its segment. 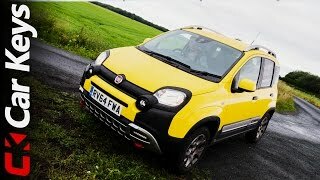 Exterior of Fiat Panda Cross 2015 to us looked very distinctive. Starting with the front fascia you have all new headlights and beneath them is newly designed bumper with integrated fog lights. You’ll also notice LED DRLs built in skid plate portraying remarkable satin titanium finishing. The same satin titanium finish also gets carried till the new roof bars, wheel arch extensions and side moldings. Displaying aggression are the 15” sportive alloy wheels in five-spoke V design with burnished metal finish. Moving towards the rear fascia of Fiat Panda Cross 2015 you’ll again notice a newly designed bumper that comes with protection from beneath. Carrying the legacy from front fascia you’ll also come across light cluster and chrome tail pipe at the bottom. 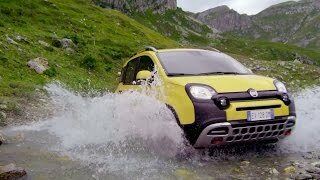 Fiat Panda Cross 2015 brings two power options beneath its hood; first one is the 0.9 Liter TwinAir Turbo engine producing total output of 90 hp and peak torque of 145 nm. Seconds in the list is 1.3 Liter MultiJet II Turbo-diesel delivering total output of 80 hp and peak torque of 190 nm. Both these engines are paired to six-speed manual transmission.